Google has two analytics solutions available to monitor and improve web site usage, online advertising campaign results and conversion reporting. 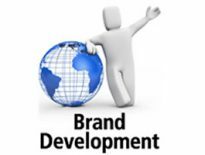 I’d like to explain a little about what differentiates these products and the criteria business owners should use when deciding which tool to implement. Here is a snapshot of the major ownership differences for Urchin and Google Analytics and how these influence the decision making process. Google Analytics data is collected on servers owned by Google. The processing of data is entirely managed and controlled by Google. 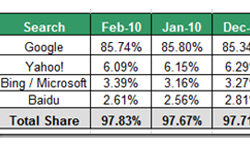 Google states that they will retain 2 years worth of data for customers. Although, to date there has been no historical limitations imposed at all. In the future, however, Google could impose data/historical restrictions that limit reporting ability. Urchin is a licensed software that runs on servers owned by you (the customer). Data processing is self-managed managed (but simple) and can be scheduled to run at predefined intervals. The Urchin database is a separate entity that can be rolled back, backed up and restored. The analytics data is entirely owned by and under control of you. Google Analytics allows the importing of cost data from Google Adwords only. This allows excellent campaign results reporting, however, it is only available for Google Adwords Pay Per Click visitors and not any other paid search source. Urchin allows the importing of cost reporting for Yahoo! and Bing and Google Adwords Pay Per Click campaigns. Again this is a process that is owned by you (the customer) but it allows much more comprehensive reporting on your Pay Per Click efforts. 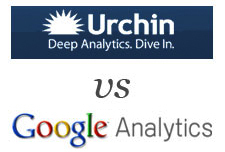 Both Urchin and Google Analytics collect data into profiles. The difference is that with Google Analytics, once this data collection and processing has occurred then it is in the profile and cannot be re-processed. Urchin allows the re-processing of data into new profiles. This becomes useful when new interpretations of data become apparent, you wish to filter in/out certain criteria or new reports are released by Google in later versions of Urchin. This flexibility is a valuable feature for companies that have more demanding data requirements and whose data reporting might require adjustment over time. There is a limitation of 5M pageviews with Google Analytics unless you are signed up to adwords. There is no such limit with Urchin and the scalability of the product is vast. There is a data center model of Urchin available which allows the functionality of an Urchin server to be spread across multiple servers. If the Urchin product is used in this architecture then a site license for unlimited servers is required ($5000 per month). Google Analytics is currently a free service. there is no cost for data processing storage or for the reporting interface from Google. Urchin is a licensed solution whose one off cost is $2995 per server (or $5000 per month for a site wide data center license for umlimited servers). The Urchin solution requires a server to run on and this and the operating system will/may have an associated cost. There are no other fees for the software, however there is a labour cost for setup and ongoing management/maintenance. These costs are minimal compared to some of the enterprise analytics solutions on the market and we offer a managed service to minimize the impact on your internal resources. Google Analytics is a fantastic service for minimal cost and provides an excellent level of reporting, but minimal control of data ownership or manipulation. This tends to be of little concern to the smaller business owner whose interest is reporting on usability and a simplistic online advertising campaign results. If requirements are of a more corporate approach with 1) more complex ad campaign cost reporting requirements and/or 2) data ownership/security concerns and/or 3) the possibility of data re-processing requirements due to loosely defined reporting requirements, then Urchin is a very affordable solution. In contrast to the Google Analytics solution Urchin will require an initial capital expenditure and ongoing operational cost that should be taken into account. So there you have it. If you didn’t know the difference between the two this article should now make you feel more comfortable with deciding bewteen Google’s two analytics products. Jon is the VP of Operations at TechWyse and analyzes everything. This includes your analytics accounts and the difference between Coke and Pepsi. He often shares with us his advanced level knowledge of campaign analysis and Google Analytics. 1) Google Analytics doesn’t have a 5mm pageview limit if you are linked to AdWords. Typically, you’ll have a harder time scaling Urchin to a high volume site when Google Analytics can handle hundreds of millions of pageviews per month. 2) The Urchin Site License is $5,000 *per month*, not one-time, which is a big difference in total cost. Hi Caleb! Nice to have you visit…. thanks for your comments. I’ve updated the post to highlight ‘per month’ and that 5M pageview limit doesnt apply when linked up to Adwords accounts. You did a nice job man! Things explained authentically and clearly. 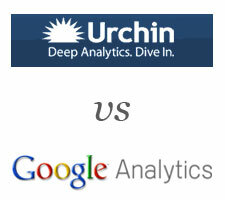 Every decent sized internet marketing company can go ahead with urchin solution, for analytics data and controlling it. But google analytics must be the favourite option for individuals or small businesses.